Chelsea have reportedly set an asking price of £100million for Eden Hazard as they anticipate transfer interest from Real Madrid. The Blues seem ready to stand firm and command big money for the Belgium international despite his precarious contract situation, according to the Telegraph. 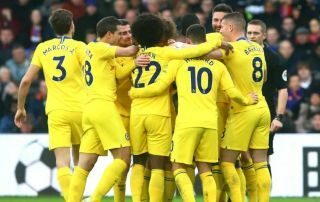 It remains to be seen if Real will end up forking out quite that much for a player who they could possibly sign on a free transfer in summer 2020, but it also makes sense for Chelsea to do all they can to scare any suitors off. Hazard has been a star performer for CFC down the years and would be a huge loss for the club if he made the move to the Bernabeu. In truth, even £100m probably wouldn’t be quite enough for Chelsea to find an adequate replacement for Hazard, who is surely up there with the top five players in the world. The 28-year-old’s skill, creativity and goal threat make him ideal for a top club like Madrid, who need someone of that quality in their attack after selling Cristiano Ronaldo to Juventus in the summer in what looks increasingly like a poor decision. The Spanish giants have struggled since Ronaldo left, whereas the Portuguese has continued to fire the goals in in Serie A.